The Federal Ministry of Finance has announced the constitution of a committee to recover unremitted operating surpluses of agencies of government, running into N450 billion. The committee led by the Accountant General of the Federation, Alhaji Ahmed Idris, is to reconcile the operating surpluses of 31 revenue-generating agencies of government for the period 2010-2015. The findings of the committee so far, have shown under-remittance of over N450 billion, which has accrued within the period. 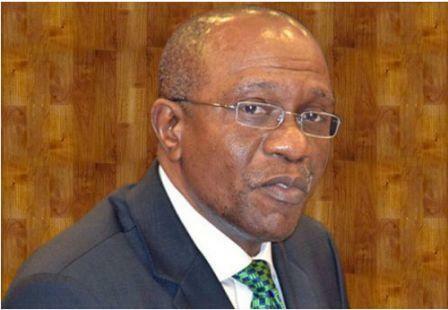 The Finance Ministry stated that staff of the Office of the Accountant General of the Federation have critically reviewed the accounting statements of these agencies, which include the Central Bank of Nigeria (CBN), Petroleum Technology Development Fund, (PTDF), National Agency for Food and Drug Administration and Control (NAFDAC), Nigerian Television Authority (NTA), and the Securities and Exchange Commission (SEC), among others. The Committee will therefore be inviting the management of these agencies to explain why their operating surpluses have not been remitted as mandated by the Fiscal Responsibility Act 2007. “21. (1) The Government corporations and agencies and government owned companies listed in the Schedule to this Act (in this Act referred of as “the Corporations”) shall, not later than six months from the commencement of this Act and every three financial years thereafter and not later than the end of the second quarter of every year, cause to be prepared and submitted to the Minister their Schedule estimates of revenue and expenditure for the next three financial years. 3) The Minister shall cause the estimates submitted in pursuance of subsection (2) of this section to be attached as part of the Appropriation Bill to be submitted to the National Assembly. (1) Notwithstanding the provisions of any written law governing the corporation, each corporation shall establish a general reserve fund and shall allocate thereto at the end of each financial year, one-fifth of its operating surplus for the year. Some of these agencies have incurred huge expenses on overseas training and medicals, and huge expenses on behalf of supervisory ministries and/other organs of government involved in oversight or regulatory functions without appropriate approval. Other infractions include payment of salaries and allowances to staff and board members, governing councils, and commissions which are outside or above the amount approved by the Revenue Mobilisation and Fiscal Allocation Commission (RMFAC) and the National Salaries, Income and Wages Commission. The list also includes unacceptable expenses incurred on donations, sponsorships, etc; unfavourable contract signed for revenue collection by a third party; granting of staff loans that have not been repaid as well as sale and transfer of assets to board members, among others. According to the Finance Ministry, the overall effect of these practices is that operating surpluses of these agencies are lower than should be. As a result of this, the Honourable Minister of Finance, Mrs. Kemi Adeosun has directed the Accountant General of the Federation to issue a circular that will limit allowable expenses that can be spent as part of measures to ensure these agencies face strict monitoring. This development is part of the resolve of the Honourable Minister to ensure that leakages are tackled.